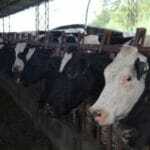 Grants for Livestock & Poultry Farmers – Apply Now! 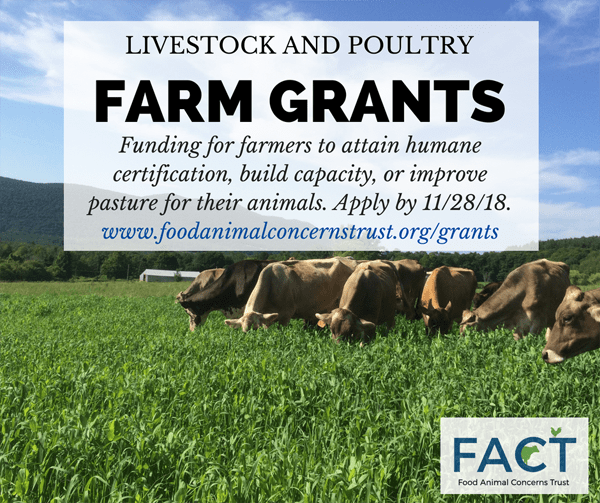 Food Animal Concerns Trust (FACT) is accepting applications for three types of grants for livestock and poultry farmers who wish to attain humane certification, build capacity, or improve pasture for their animals. Funding is available for projects that improve farm animal welfare, such as building mobile housing, constructing fences, laying water lines on pasture, and much more. Family farmers located in the continental U.S. with at least one year of experience may be eligible. 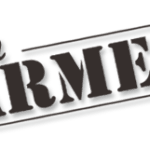 For more information about FACT’s Fund-a-Farmer Grants and to apply online, please visit foodanimalconcernstrust.org/grants/. Applications are due by November 28, 2018. 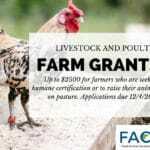 FACT’s Grants for Livestock & Poultry Farmers – Apply today!